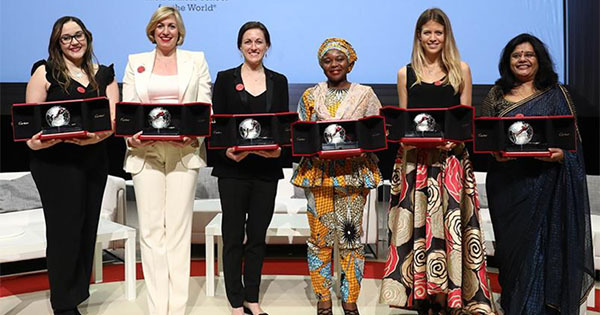 The Cartier Women's Initiative Awards is an international business plan competition created in 2006 to identify, support and encourage projects by women entrepreneurs. Since their inception, they have accompanied 162 promising female business-owners and recognized 58 Laureates. Every year, the program looks for committed female entrepreneurs heading initiatives with the potential to grow significantly in the years to come. It is a unique opportunity for early-phase women entrepreneurs to take their companies to the next level. To be considered for the Cartier Women's Initiative Awards, the project must be an original for-profit business creation in its initial phase (2 to 3 years old) led by a woman. To apply, interested women must complete the online application form and submit a resume, a scanned copy of business registration, proof of patent (if applicable), and their detailed financials. Applications by mail will not be accepted. Only online applications submitted through the website at www.cartierwomensinitiative.com and received in the official format are accepted. The deadline to apply this year is August 31, 2017.